Publisher: Originally published in 1957 as #19 in the series.. Originally published in 1957 as #19 in the series. "Dana Girls Mystery Stories New #12" serie. Save Carlo . . . winking ruby . . . hurry! This plea uttered by Gino, a mysterious violinist, just before he lapses into a coma, launch Jean and Louise Dana on their first exciting adventure in Europe. Is the mysterious ruby a gem, a girl, or part of a secret code? The Danas must find out—and fast—because a life is at stake.Danger stalks the young detectives from the moment they board the Balaska with their Uncle Ned, captain of the ocean liner. Crossing the Atlantic they meet Enrico and Lena Dotti, professional hypnotists, who offer to help in solving the puzzle. Jean wants to accept, but Louise is suspicious of the Dottis.In Europe, the sisters discover that Gino's family has disappeared, driven into hiding by blackmail and threats of mal occhio, the evil eye. Probing deeper into the strange riddle, Jean and Louise become enmeshed in a mystery more frightening than the dungeon in which they are imprisoned. How they extricate themselves and locate a fabulous crimson gem make a pulse-quickening story. Mildred Augustine was born in Ladora, Iowa. In 1925 she graduated from the University of Iowa with a degree in journalism, and she immediately went to work for the Clinton Herald. In 1926 she moved to New York City, hoping to find work as a writer. There she met Edward Stratemeyer, owner of Stratemeyer Syndicate. In 1927 she returned to the University of Iowa, where she went on to earn a Master's degree in journalism. She stayed in touch with Stratemeyer, and she wrote a novel for the Ruth Fielding series. She wrote several more pseudonymous novels while working on her degree, and she was eventually offered a new series, abound the girl detective Nancy Drew. Under the pseudonym Carolyn Keene, she wrote 23 of the first 25 books in the series.In 1928, she married Asa Wirt, a journalist, and changed her name to Mildred A. Wirt. The couple moved to Toledo, Ohio, and Mildred continued to write fiction under her own name, her personal pseudonyms, and Stratemeyer's house pseudonyms. 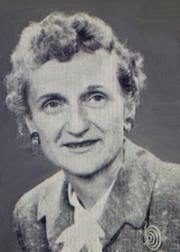 In the mid-1940s, she also resumed journalism, reporting for the Toledo Times. In 1947, her husband died, and in 1950 she married George A. Benson, her editor at the Toledo Times newspaper, and changed her name to Mildred Benson. In 1959, George Benson died.By the mid-1960s, she had stopped writing fiction and was working full-time as a court reporter for the Toledo Times. She had also earned her pilot's license and become an enthusiastic aviator. When the Times went out of business in the 1970s, she went to work for the Toledo Blade, where she continued to until the day she died from lung cancer.The University of Iowa honored her with its Distinguished Alumni Award in June 1994, and she was inducted into the Iowa Women's Hall of Fame in August 1994. 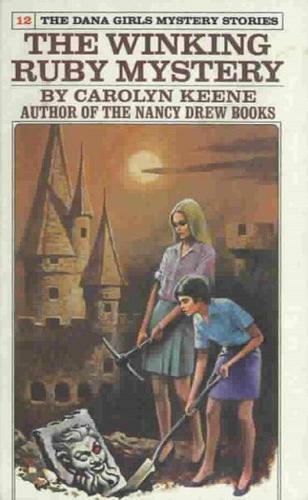 In 2001, she received a Special Edgar Award from the Mystery Writers of America for her contributions to the Nancy Drew series. The Get Book Club service executes searching for the e-book "The Winking Ruby Mystery" to provide you with the opportunity to download it for free. Click the appropriate button to start searching the book to get it in the format you are interested in.